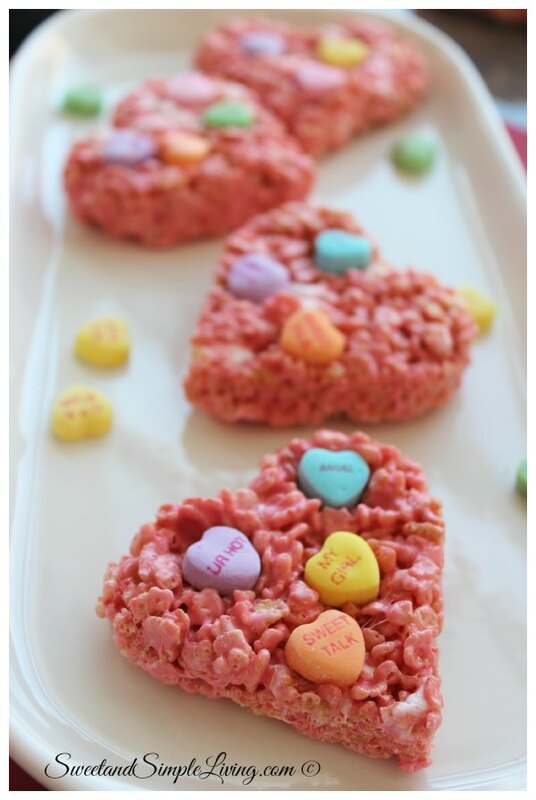 Check out our super easy Valentine’s Day Rice Crispy Treats recipe! If you love rice crispy treats then you will love this one too! 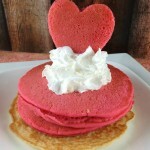 It only takes a few more ingredients to turn this into a Valentine’s Day treat! We love using our Wilton Valentine metal cookie cutters for this project because it cuts nicely into the rice crispy treats with no fuss. I’m not sure if the plastic ones will do the same. Be sure to make them as tall as your cookie cutter so you can get a nice clean cut. 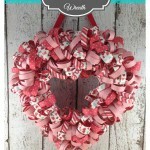 We added some of the popular sweethearts as decorations on top too. Be sure to add those on right after you smooth out the mixture in the pan while it’s still warm. The marshmallows will act like a glue and stick when it cools. In a medium to large saucepan, melt butter over low heat. Stir in enough food coloring to make the marshmallows very pink. Stir until cereal is well combined. Prepare a cookie sheet with sides by spraying with cooking spray or coating with butter. 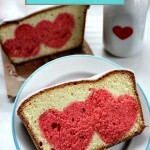 Butter a spoon or your hands or use wax paper to press the mixture into the pan evenly. Press conversation hearts evenly around the mixture. 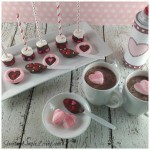 After cooling, use heart shape cookie cutters to cut out treats. Be sure to Pin this recipe for later! Follow us on Pinterest here too!